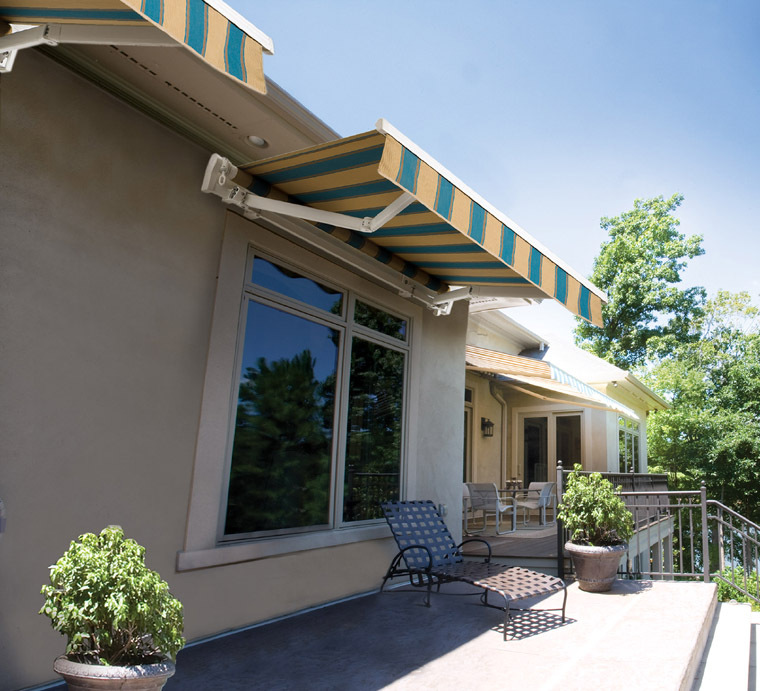 Wausau Canvas Company offers the full line of Solair brand retractable awnings, window shade systems and power screens in a variety of fabrics and colors. From see thru mesh to room darkening systems. Select from manual or motorized units with remote control. Professional installation is available throughout Central and Northern Wisconsin. These systems can be sized and designed for Residential, Recreational(Lake homes,Cottages) Institutional, Hospitality and Commercial applications. For privacy or Sun protection, we can help select a Solair sytem for you application with a range of value priced options. Take a few minutes to browse the photos, contact us for a no obligation quote or to answer further questions. Make the move to make that space more comfortable, stylish and usable with our Solair shade solutions. Call today! For submitting drawings, plans or pictures of your project, please email to the above address or fax if you prefer to 1-715-848-2366, please indicate the product you are interested in. Thank you for considering Wausau Canvas Company Inc.